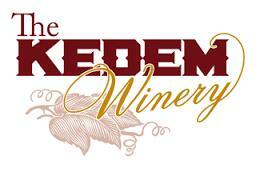 Kedem Winery's history started with producing sacramental wines from Concord grapes which grew in abundance in the area. Now, in addition to the sacramental wines that gave Kedem Winery it's start, they produce some of the finest New York State wines ranging from well-known traditional viniferous varieties like Chardonnay, Pinot Noir along with New York favorites like Chambourcin, Vidal, and Traminette. Additionally, a variety of venues on the grounds make it the perfect place to hold events of any size. "Rich and sweet with a low alcohol content. A great traditional wine for Passover or for Shabbos. Serve with brisket or honeyed poultry." " A medium sweet, low alcohol, smooth wine. Best Served With:desserts, pastries and fruit . "